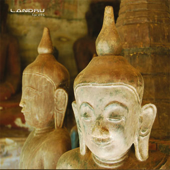 Facets is the new Chillout | Lounge double CD album released by Landru. With Facets, Landru shows his most intimate and serene side. It is definitely a delicate work, characterized by the coexistence of instruments, percussions and melodies from different cultures all around the world. An album that represents the consolidated maturity of Landru in the chillout music scene. Facets consists of one CD including 15 new unreleased tracks and a second CD with remixed versions of the original tracks made by the most representative ambient and chillout artists from Spain. 14. Is this Really the End?